Believe it or not, tt was my first time in LUCKY CHINATOWN MALL just a few weeks back. Even if I would pass by this establishment on my way to 168, I have never set foot inside of it. Little did I know that it was big and has a lot of Chinese Restaurants in it. One of them would be KING CHEF. Located on the second floor, I was pleasantly surprised when I entered. From the outside, the place looked small. Once I got in, I realize the magnitude of the restaurant. Aside from catering to different groups of family and friends in the main dining hall, there are also several private function rooms that could be used for some events and a bit of privacy. One thing I liked about KING CHEF is that it hones the skills of its chefs by creating contests for them to innovate new dishes. 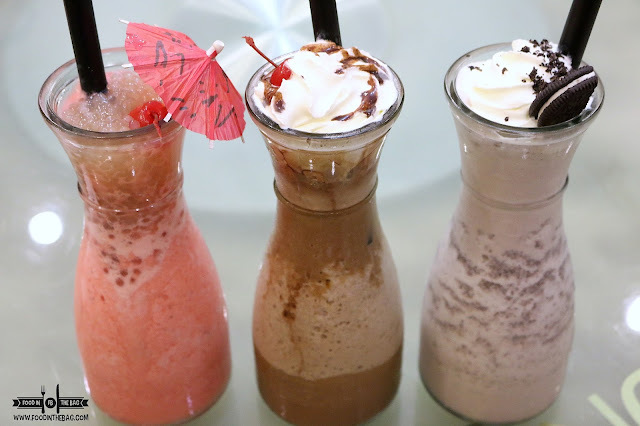 This cultivates their creativity and let's the staff's imagination go wild. This time around, new dishes were brought out for us to try. Starting off with some PRAWN FIRECRACKERS. 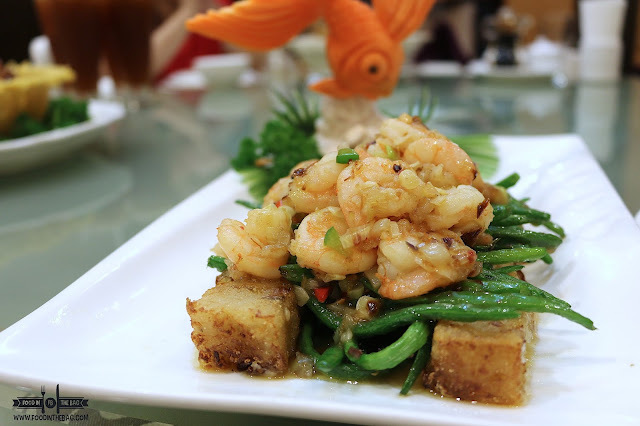 One would assume that tofu would be the small cubes underneath the shrimps. Rather, they are radish cake. Interesting. 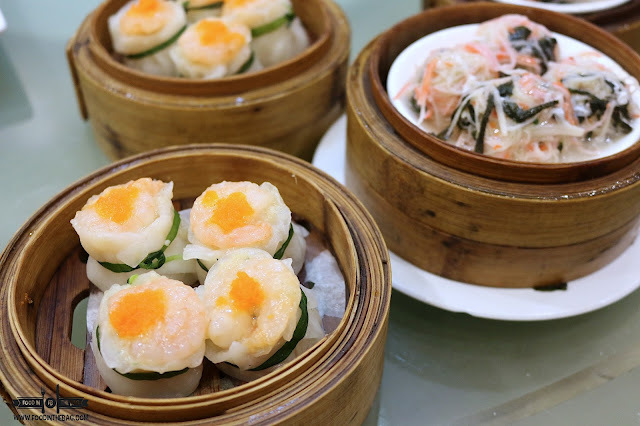 Of course, one doesn't go to a Chinese restaurant without ordering dimsum. This is a must at KING CHEF. 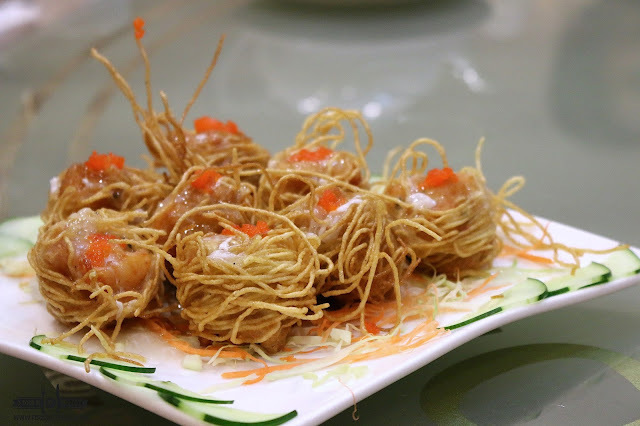 Aside from the KING PRAWN SIOMAI and the steamed CRABSTICK BALLS, my personal favorite would be the CRISPY SHRIMP NOODLES. Each bite offers texture. Because of the fried noodles, it gives dimension to something pretty simple. 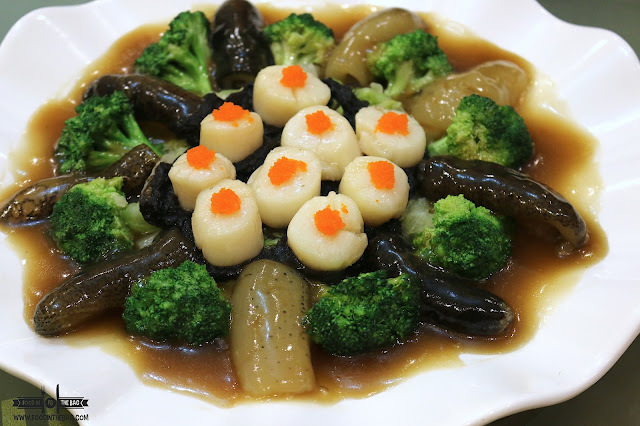 Another main dish to try would be the BRAISED SCALLOP with SEA CUCUMBER. Honestly, I wasn't expecting it to be good but it was. Although it was my first time to try out a sea cucumber, I realized that it's always better to give it a go. Thankfully, I enjoyed it. 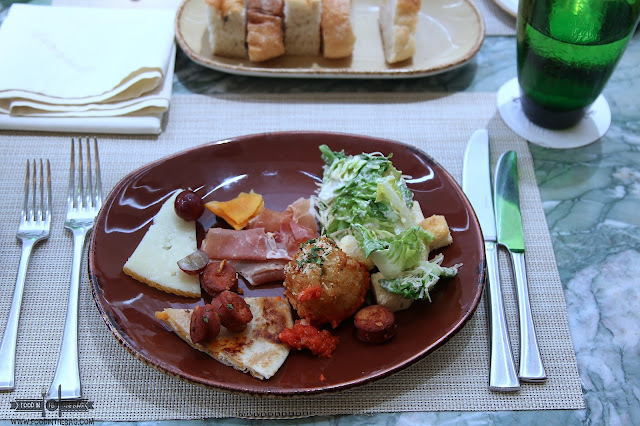 Each bite is somewhat soft and the flavor is somewhat neutral that it absorbs the seasoning from the dish. If there was one dish to order, it would be the Asian Fried Chicken in a Basket. 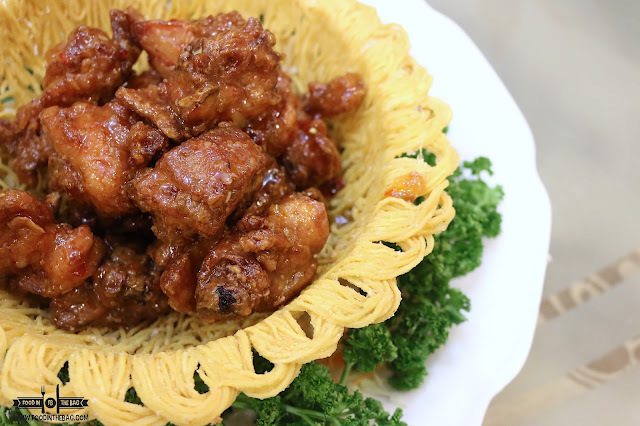 Presented beautifully in a deep fried bowl, the chicken are sweet in flavor and crunchy. It would go perfectly well with the next dish. THE RICE. 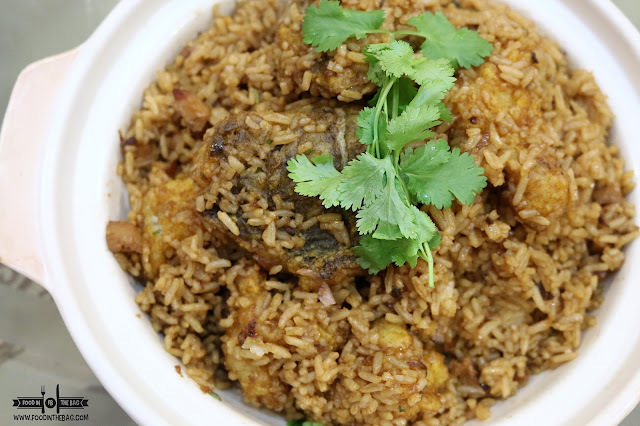 This is not your ordinary rice but the LAPU-LAPU rice is a crowd favorite. The taste of the fish is evident in each bite. The saltiness is just right that it makes you want to get another spoonful. This one is another must order. 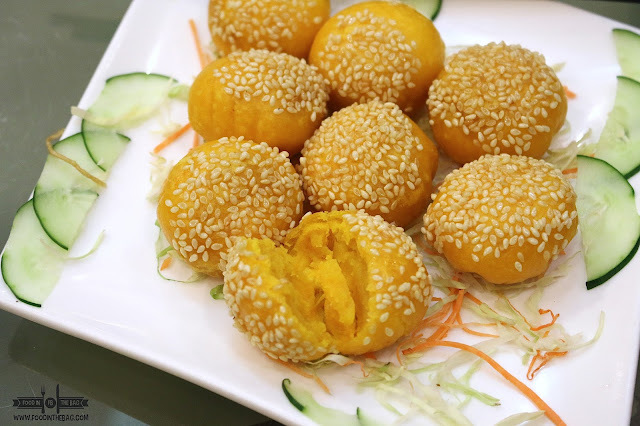 For dessert, the golden sesame pao was a little too ordinary. I assumed that there would be salted egg liquid that would gush out of the balls. Unfortunately, the breading absorbed too much of the filling. Maybe they could fix this one part as everything that I tried was pretty good. I would definitely come back for the Lapu-Lapu Rice and The Chicken. 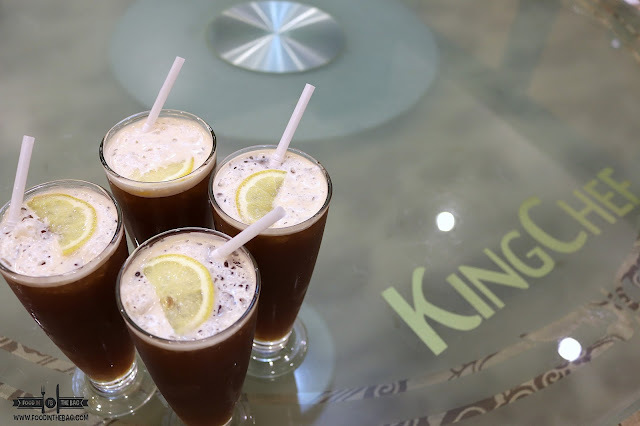 With affordable pricing and delicious dishes, KING CHEF really caters to everybody.